Collecting Moments: Fall Bucket List, Complete! At the beginning of fall I posted about my fall bucket list. (Read about it here.) I am very happy to say that I have completed everything on my list! (yay!) I love lists. I get a huge sense of satisfaction when I cross things off. Buy fall scented candles: See which ones I chose here! Bake with apples: I live in the apple capital of the world, so apples are abundant, especially in the fall. I baked apple bread and apple cookies this fall season. Yum! Make a pumpkin dessert: I made a maple pumpkin cheesecake with caramel sauce, one of my favorite pumpkin desserts. Find the perfect pumpkins: Read about my trip to the pumpkin patch here! Grab a coffee and take a stroll: One of my favorite things to do! Have a fall photo shoot: We did a fall photo shoot with Holly and her fiance Alec. It was so much fun! Carve pumpkins: Check out my post about carving pumpkins here! Dress up for Halloween: I was a baker this year and my hubby was a chef. Read about my simple DIY baker costume here. Decorate for fall: I had fun getting creative with decorations this year by using things I already had. Try something new and fall-inspired: I tried a couple new things this year… I made apple and pumpkin bread for the first time. Also, I tried my first ever pumpkin spice latte from Starbucks! I know, right? My first! I’m a huge latte fan, so I was surprised myself that I hadn’t tried it until this year. Make soup: I made ham, cheddar and potato soup with beer bread. Walk the dogs: I’m making a point to keep walking my dogs even though it’s getting so cold outside. Watch football: I’ve watched a lot of football this season. The Seahawks, the Cougs (my college team) and my little brother’s seventh grade team. So fun! 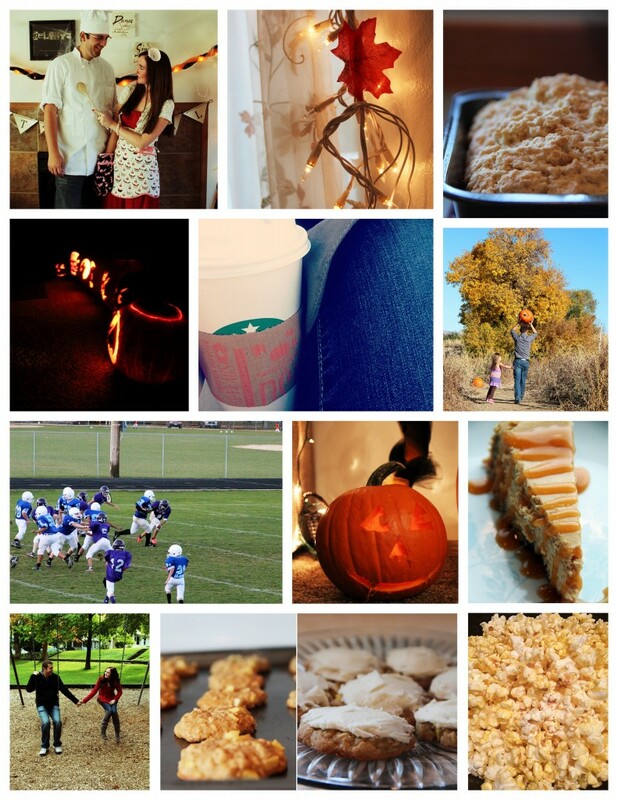 Capture pictures of the season: I think I did pretty well taking pictures of almost everything this fall season! I love fall. I can’t believe how fast the season is going. Before we know it we will be gathered around the table for Thanksgiving. How have you celebrated the fall season this year?